Lancaster and the surrounding area that takes in the Lakes is without question a superb family holiday destination for the summer. But the Lake District is open all year round and as a winter retreat, it’s a very different holiday. If you fancy a little less hustle and bustle of the crowds and enjoy a winter walk on the fells followed by a cosy fireside pub then having a holiday home in the Lake District during this time of year can be a real bonus. As part of this change in season, there is a thriving winter calendar such as Christmas Markets and the annual Christmas lights “switch-on”. Here’s our guide to the some of the Christmas events for 2018. Times are tough in the laundry business and Aladdin and his hard-pressed Mum are struggling to survive. But when Aladdin’s long lost uncle turns up, it seems everything could change. Will this charming chancer improve their fortunes? And what’s a young lad to do with an old lamp that needs polishing? Join Aladdin and the Genie as they embark on a journey of discovery, danger and romance. See the everyday transformed into the exotic, in a world where the carpets are magical and the wishes unlimited. Explore enchanted treasure caves, meet the mysterious Princess, and as the mayhem builds, wonder who will ever come to the rescue. Mike Kenny’s delightful adaptation brings Aladdin flying onto stage in a whirlwind of magic and music, laughter and sparkle. Prepare to be transported and amazed this Christmas at The Dukes. Footlight’s Annual, traditional family Pantomime adventure – “Robin Hood and the Babes in the Wood” is coming to Lancaster Grand for the first time. See one of the most famous outlaws ever, Robin Hood, as he tries to win the hand of the beautiful Maid Marion and along with his Merry men strives to outwit the evil Sheriff of Nottingham’s plan to get rid of the “Babes in the Wood” – the King’s niece and nephew – so that he can claim their fortune. There are plenty of songs, dances and laughter with lots of audience participation – plenty of jokes, boos and hisses for all the family. Enjoy the stunning scenery, special effects and superb costumes…. this is a Christmas Treat not to be missed. Tickets are on sale so book early to beat the crowds to the best seats in the house while they are still available. Christmas wouldn’t be the same without a festive ice rink. From 24th November until 6th January, for the first time in the city’s history, the quaint Dalton Square in the heart of Lancaster, is being transformed, through a pop-up ice rink and Christmas markets, into a unique winter wonderland experience. A great way to celebrate the run up to Christmas with the family. Child tickets are available for 12 year olds and under. 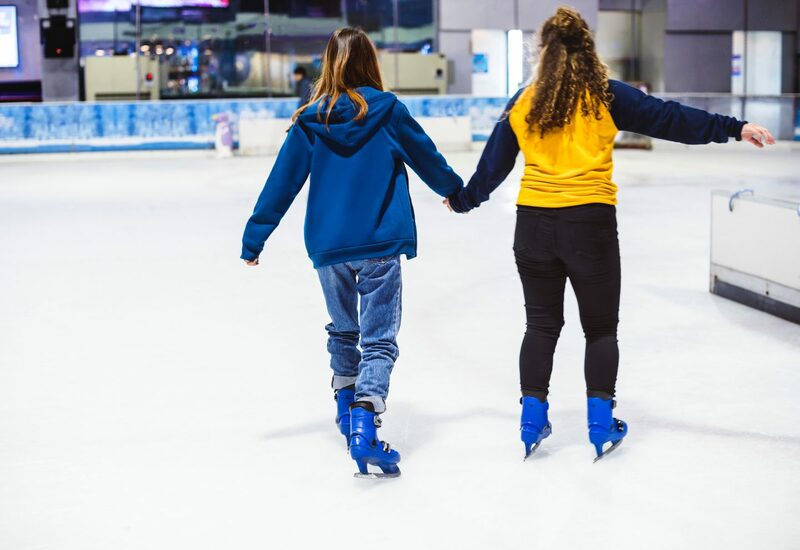 Children aged 10 years and under must be accompanied by an adult on the ice. 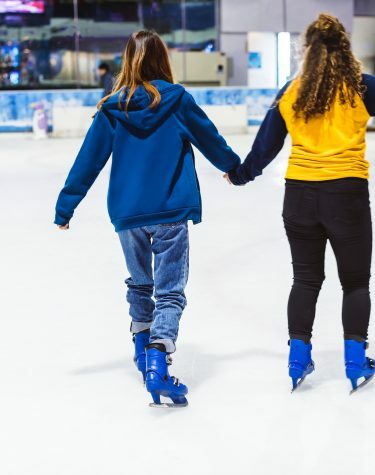 The smallest skate size available for children is size 7 / European size 25 (age approx 3 – 4 years old). Dates: Every day from Nov 24th until January 6th from 10am – 9pm. Closed Christmas Day. See our separate guide on the Christmas markets in the Lake District for 2018. With Christmas just around the corner, it’s time for the annual Christmas Concerts at Williamson Park’s Ashton Memorial! All concerts start at 7:30pm (doors at 7pm) and will be followed by a complimentary glass of mulled wine and a mince pie! Car parking is available throughout the duration of the event, please use the main car park on Wyresdale Road. There is limited parking for disabled guests on Quernmore Road. Please note: Disabled parking permits must be requested prior to this event taking place by calling 01524 33318 or by visiting the Williamson Park Gift Shop. Tickets can be purchased from Lancaster Visitor Information centre at the Storey, Williamson Park Gift Shop or by telephone on 01524 33318.